a column named Fax. 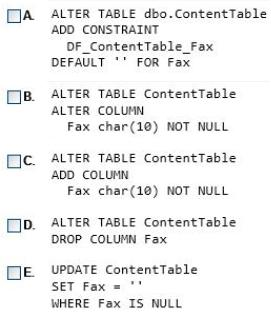 Fax allows null values. ✑ Prevent null values from being used. ✑ Always use an empty string instead of a null value.